Taraji P. Henson attends the 2019 Vanity Fair Oscar Party hosted by Radhika Jones at Wallis Annenberg Center for the Performing Arts on February 24, 2019 in Beverly Hills, California. Taraji P. Henson styled her look with a chic mirrorball purse. 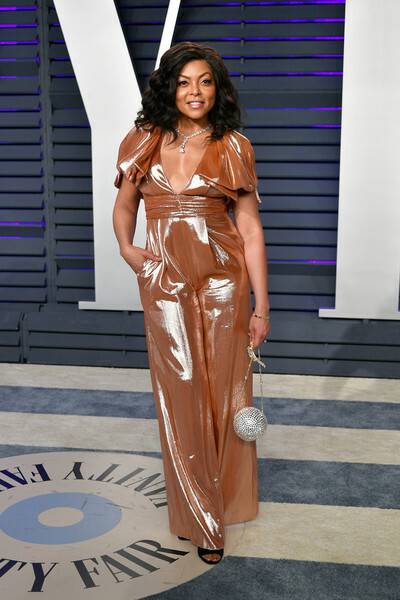 Taraji P. Henson shimmered in a copper jumpsuit by Roland Mouret at the 2019 Vanity Fair Oscar party.